I’d like to introduce an idea that you may not have heard of. That is the idea of connecting to the earth on a regular basis. Connecting to the earth for, not only your mental health, but for your physical health too. The frequency of the field generated between the earth and the ionosphere is exactly the same frequency - 7.83 HZ - as the frequency of the electromagnetic field generated by the human brain. The frequency of the geomagnetic fields that surround the earth as they interact with the solar winds ebbs and flows up and down and correlates directly to the frequency of electromagnetic field generated by the human heart and cardiovascular system - each rhythmically moving up and down between approx 1 HZ and 5 HZ. This is absolutely fascinating but what does it mean for us? Increasingly, science and anecdotal evidence is showing that we are all connected. Think of the stories we’ve all heard of twins (or loved ones) that feel each other’s pain half way across the world. One gives birth and the other feels the contractions and just ‘knows’ that their twin is in labor. We have to be open to the idea that just because we can’t prove how some things occur via science, doesn’t mean that there aren’t fundamental laws operating within our world that we are all a part of. We are not only all connected to each other but we are all connected to the earth too. Could it be that we are connected via the electromagnetic fields surrounding ourselves and the earth? Maybe. This is an emerging science and the exact details are not yet known. Rubber soled shoes have been worn, more widely, since around the 1960’s, and almost totally in recent days. Before that, we were walking around barefoot or with natural materials (often leather) between our feet and the earth. As most of us know rubber is a great insulator, meaning it does not easily conduct electricity. This is great for our safety when working in certain professions but not so great when it comes to connecting ourselves to the earths electromagnetic field. Earthing, or Grounding, are the terms used when ‘humans connect directly to the earth’. 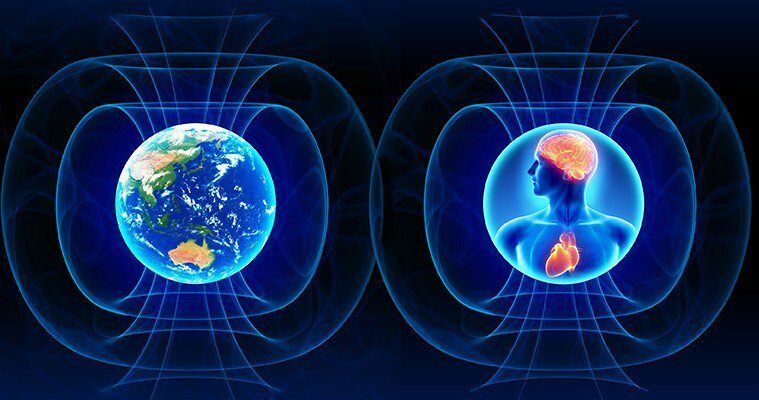 When we connect directly to the earth we connect to the earths powerful magnetic energy. There are various studies that show that regularly connecting to the earths surface – with our bare skin - reduces cortisol levels (the stress hormone). Studies show that it can reduce pain, it can reduce inflammation in our body (something that is such as issue for so many of us these days) and it can increase blood circulation. Grounding premature babies has also been shown to boost their resilience (Penn State University Children’s Hospital Neonatal Intensive Care Unit). If you really think about this, this is amazing. By simply connecting to the earth on a regular basis you may be able to improve both your mental and your physical health too. It’s so simple. You can take a barefoot walk on the beach (wet sand conducts better than dry sand) in the evening after work or with your children. Better yet, why not take dinner to the beach to eat one night. You can kick off your shoes and stroll through the park at lunchtime. You can meet a friend for lunch in the park and ensure that at least one part of your bare skin is touching the grass. This is cheaper than eating at a restaurant and just lovely at this time of year. You can also purchase an Earthing blanket or mat to sleep or stand on. These products connect directly into the earth hole of an electrical socket and mimic that connection directly to the earth. The key to grounding is to ensure your bare skin is touching or connected to the earth's surface. At Life & Thrive we are focused on simple, pleasurable ways to improve not only your health but your life. If you give regular grounding a go we’d love to hear from you to let us know if you see any benefits in your life.